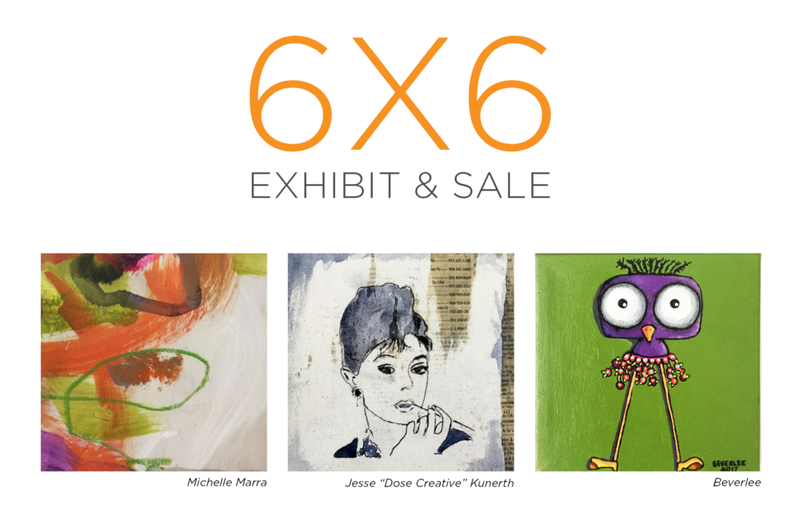 The Cornell Art Museum is pleased to announce its 5th Annual 6×6 Art Sale featuring 400 donated 6×6-inch works in a variety of media, from all ages, from all over the country! Exhibition preview of all donated works will open during the First Friday Art Walk, 6-9 pm on July 6th and will remain on view through July 26th. All 6×6 art works available for purchase! Here’s How the Sale Works: When you arrive you’ll receive a colored wristband that identifies your group and a series of “dot” stickers. Wristband colors will be given out randomly. You’ll have time to get a beverage and preview all the artwork, then the fun begins! It’s not a free-for-all, we will call out a color and everyone with that wristband can tag the piece(s) they want with their “dots.” We will keep calling colors until all groups have had their chance. First Purchase Lottery: Want a chance to be first, second or third to choose your piece(s) before groups are called? Just make a $10 donation when you check in and your name will be entered into the lottery!